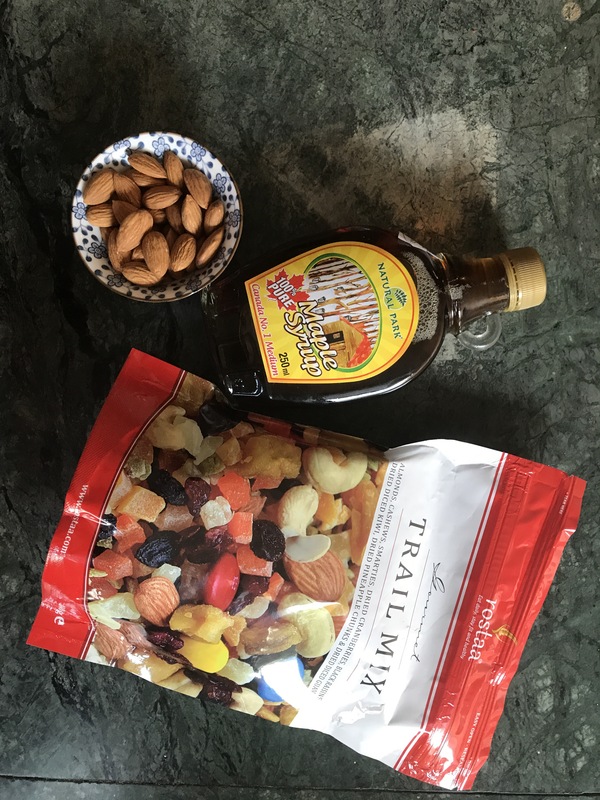 1 tbsp trail mix ( or seeds). 1. Take maple syrup in a heavy bottom non stick pan and reduce it on low to medium heat . 2. Keep a foil paper greased with oil ready . 3. As soon as the maple syrup reduces (approx 5 mins into cooking) add the almonds and trail mix . Quickly fold the ingredients in . 4. Quickly transfer the mix on foil and let it cool down. 5. Beautiful glazed Chikki is ready. Cut into bite sizes and enjoy the treat .